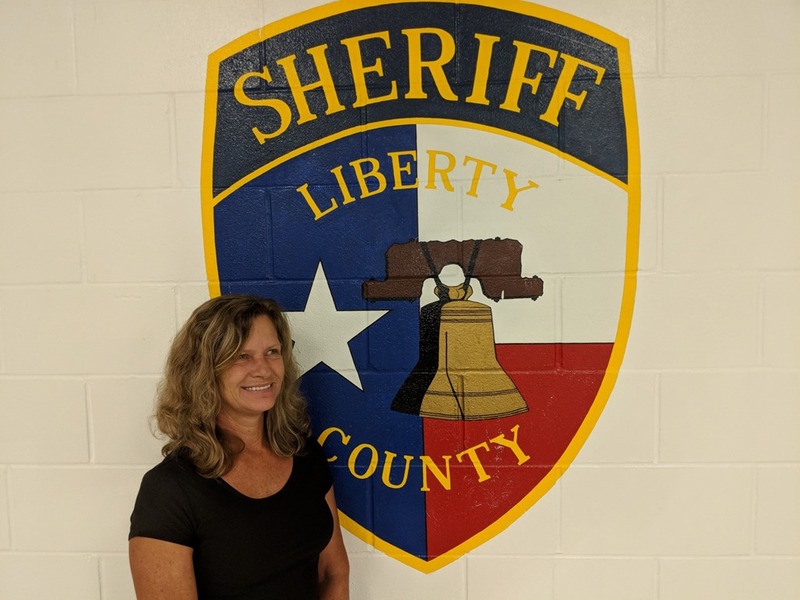 Liberty County Sheriff’s Chief Deputy Don Neyland announced that Linda Chapman of the Civil Division has been selected as the employee of the month for the Sheriff’s Office. No higher honor can be bestowed upon an employee than to be recommended for this selection by a fellow employee that deals with that individual on a daily basis. And so it was when Chapman was said to be one of those people who takes the time to encourage and let others know they are doing a good job while at the same time creating a good work environment. She is described as a team player and someone that is very dedicated to her job, dependable and hard working. All these positive qualities played into this selection as the employee of the month as she has attended the Texas Justice Court Training Center and continues to move forward in her certification field. Actually Chapman’s background of having worked with the Liberty County Tax Office and being a past substitute teacher for the Tarkington I.S.D. as well as an entrepreneur for Chapman’s Auto Inspections has given her the qualities needed for her present assignment in the Civil Division. She can very well be described as a “people person” and her ready smile and friendly personality allows her to work with the public even in very stressful and difficult situations. Having worked in the Civil Division since being employed by the Sheriff’s Office for the past two and a half years, she quickly learned the legal trails that must be followed in dealing with the civil processes rather than the criminal aspects of the law which are normally associated with a law enforcement organization. She says that her life long association with the legal structure of documentation has provided the basis for her present assignment and that dealing with the eviction process is probably her most heart rendering responsibility. A case in point is one her office is dealing with now. A man in his 70’s and his wife passed away recently is being evicted from his home after 15 years there and the accumulation of many family memories. With no other family members to help him and the legally required process of eviction moving along as required by state law, her office has no choice but to follow those laws and proceed with the paperwork of eviction. It is these type cases that lays heavy on her heart and, at times, makes her assignments difficult. Family is a big part of Linda Chapman’s world with her husband and five children as well as her outside interest in antique vehicles while enjoying all kinds of sports events and even serving as a coach for a youth league for the past several years. She says her life is full and her future goal is to just stay healthy until she can retire from the county in the distant future. Chapman’s hopes are that the capabilities of the county will move along and continue to match the expansion of the growing county. With her love for working with the public and her positive approach to her assignment in the Civil Division it is no small wonder that the Liberty County Sheriff’s Office ask the public to join their agency is a tip of the hat to Linda Chapman for being selected as the Employee of the Month for September, 2018.